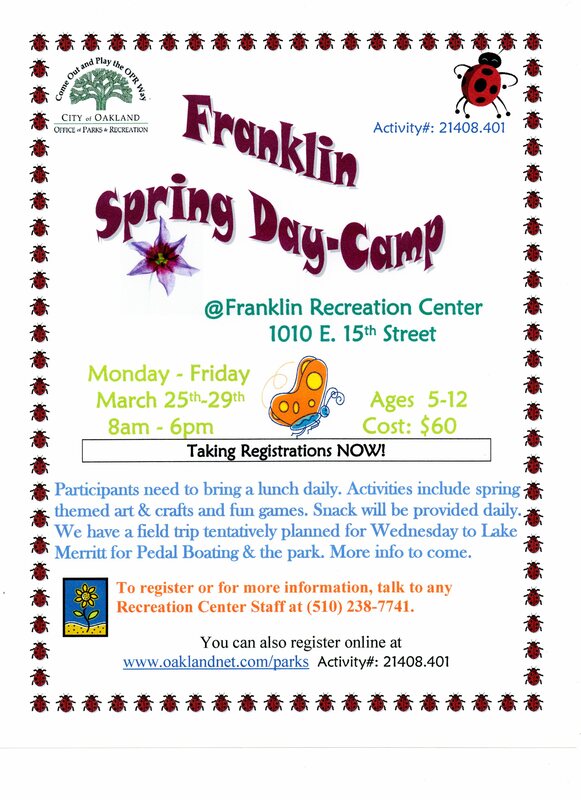 Franklin Rec Center courtesy of greenkoziFranklin Recreation Center is located at at 1010 E. 15th Street, immediately adjacent to Franklin Elementary School in the Clinton/East Peralta neighborhood. AFTERSCHOOL ALL ACCESS: for kids in grades K-5th. Monday through Friday 3-6pm (Wednesdays 1:20-6pm). Homework assistance, a daily snack, and various activities and classes.